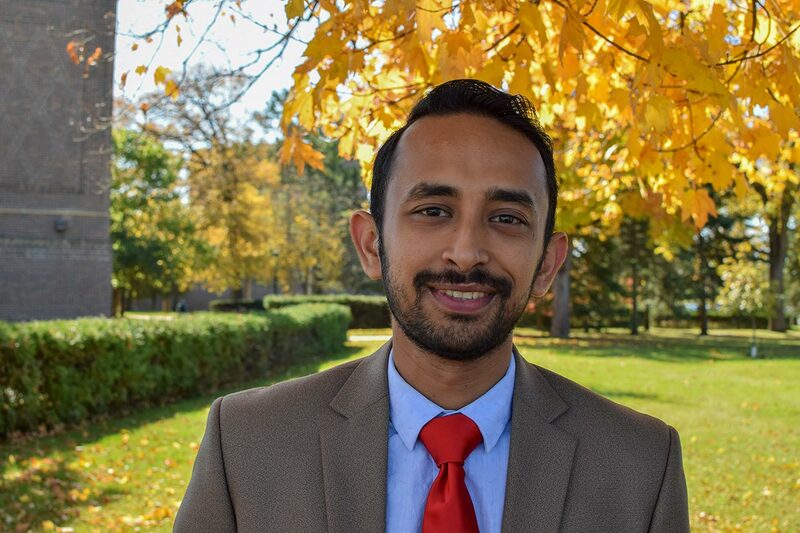 Eshfaq Ullah — known as “Ash” on campus — has big plans for this year as Bemidji State University’s student body president. Ullah, a junior majoring in accounting and entrepreneurship, moved to the United States from his home in Chittagong, Bangladesh, four years ago. After arriving in the U.S., his path to Bemidji State first took him to the University of South Dakota and American College of Commerce and Technology in Falls Church, Va. While in Virginia, Ullah decided he was looking for something new. He arrived in Bemidji in the spring of 2016, and northern Minnesota’s winters had him immediately questioning his decision until he made an important discovery about the BSU campus. Once he overcame that initial hurdle, he immediately began to find ways to get involved on campus. The long list of organizations Ullah has been involved with on campus includes the Business Club and Accounting Club and the university’s Diversity and Inclusion Committee in addition to his work with Student Senate. He says his extensive involvement has better prepared him for his role as Student Senate president. “Throughout the process, I’ve learned a lot about student behavior and what they want and what they need,” he said. ”That helps me a lot in my present job as student body president. As Student Senate president, Ullah is looking for ways to reform some of the organization’s internal practices. He is also leading the senate’s current strategic planning efforts. These planning initiatives are serving to support Ullah’s top priority as Student Senate president — to improve the college experience for BSU’s students. Ullah said the senate is also working on issues related to affordable textbooks and textbook alternatives for students as part of a state-wide effort; is supporting the work of Bemidji State’s Diversity and Inclusion Committee; and exploring issues related to student security and safety on campus. “We want Bemidji to serve as a model to the six other state universities,” he said.